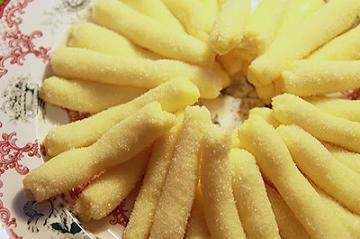 Anihan Pastillas Recipe as Seen on My Puhunan. This is a simple, easy-to-follow instructions that you can use to make delicious pastillas for your family or to start your own home-based business. The ingredients and steps detailed below are the same ones as demonstrated in one of the episodes of the television show My Puhunan, hosted by Karen Davila. ANIHAN IS A PROJECT OF THE FOUNDATION FOR PROFESSIONAL TRAINING, INC. (FPTI). ESTABLISHED IN 1986.